Grind to a fine powder and mix well. 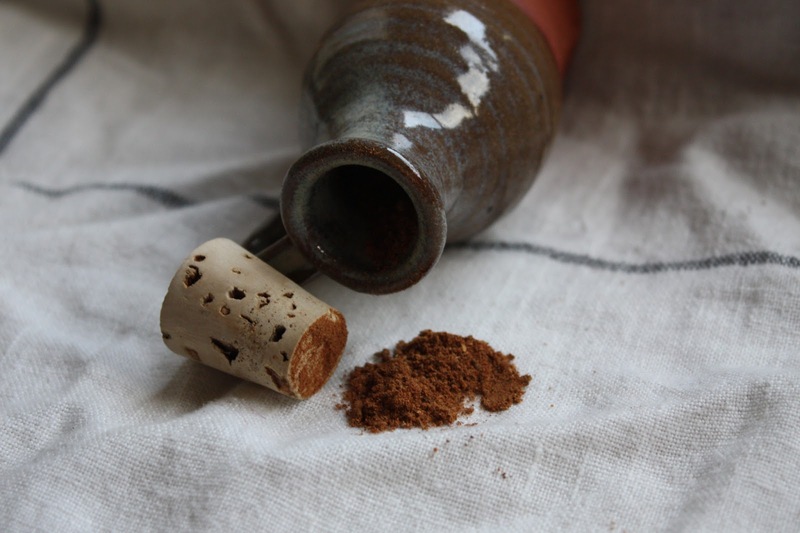 I like my powder fort to mostly taste of pepper, with the other spices there for balance and complexity. I tend to leave out long pepper and grains of paradise because I think each has such a subtle flavor that they deserve the spotlight. I also generally stay away from the “weaker” spices — I just don’t think ginger, nutmeg, and galingale can hold their own against the other ingredients. Powder Douce:Douce meaning sweet, these spices are somewhat milder than those in powder fort and more appropriate for sweet dishes. Additionally, powder douce can include sugar. All of the explanatory notes above apply equally to powder douce, except those about the desired flavor and ingredients. Powder douce is often sprinkled on egg and pasta dishes. 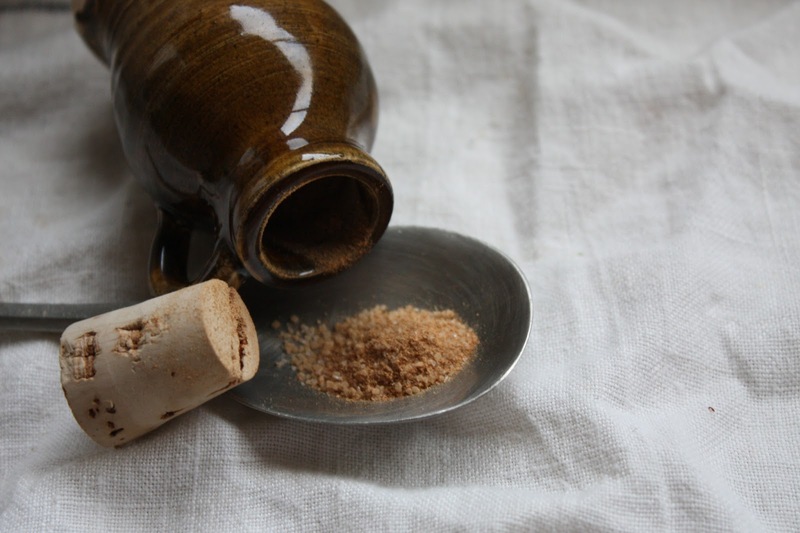 Possible ingredients include sugar, cinnamon (here I would stick to true cinnamon if possible), ginger, nutmeg, galingale, and possible small amounts of mace or clove. I generally leave out mace and clove as the strong flavors can quickly overpower the other spices. Remember, if you want strong spices, choose powder fort. I store my powder fort and powder douce in the earthenware jars pictured above, which were made by Mistress Morgaina. As mentioned above, I round this out with saffron and good sea salt. For longer events I often add more to my stash, but these are enough to get me through most camp cooking projects.